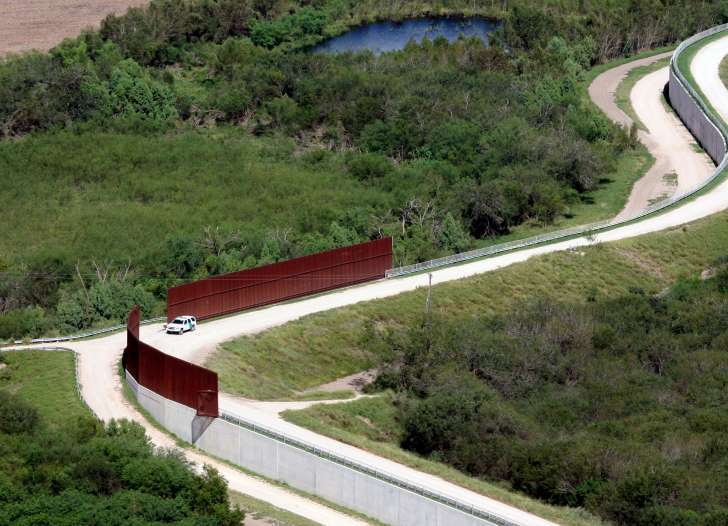 SAN ANTONIO — Nearly 5,000 unaccompanied immigrant children were caught illegally crossing the U.S. border with Mexico in October, almost double the number from October 2014, according to U.S. Customs and Border Protection data. Also, in the figures released Tuesday, the number of family members crossing together nearly tripled from October 2014 — from 2,162 to 6,029. The numbers spiked despite expectations of lower numbers due to the colder winter months coming, better enforcement along the border and efforts by Mexican authorities to stem the stream of Central American migrants to the U.S. Though tens of thousands of women and children from Central America were caught at the border in summer 2014, it had dropped by nearly half during the 2015 federal fiscal that ended Sept. 30. The 4,973 unaccompanied children caught at the border last month is the highest number that Washington, D.C.-based think tank Washington Office on Latin America has recorded for October since their records began in 2009, said Adam Isacson, a border expert and senior analyst. The high numbers buck the typical trends of crossings peaking in spring then declining through summer and fall, Isacson said. But there was an uptick in families and children crossing in July, and the numbers have stayed over 4,000 each month since. "Rather than a big jump, it's been a steady burn," he said. "I think we are almost in crisis mode with this many months of sustained arrivals." Most children and families trying to cross the border in October were from El Salvador. Increased violence in the tiny country, which averaged 30 murders a day in August, is likely partly to blame, Isacson said. Previously, Guatemala had the most families and children apprehended at the border. While the Rio Grande Valley remains the center of migration flows in Texas, immigrants are starting to venture farther west. The number of unaccompanied children caught in Del Rio sector jumped from 120 to 237, while 187 children were apprehended in the remote Big Bend area, up from just 13 a year ago. According to internal intelligence files from the Homeland Security Department, most families interviewed told Customs and Border Protection officials that smugglers decided where they would try to cross. They reported that the cost ranged from about $5,000 to cross the border near Matamoros or Reynosa, Mexico, across the border from the Rio Grande Valley, but was about $1,500 to $2,000 to cross near Ciudad Acuna, across the river from Del Rio. The administration was caught off guard by the sudden surge of children and families in 2014 and made several efforts to curb the flow of people crossing the border illegally, including media campaigns in Central America to scare people out of attempting the dangerous journey. U.S. Customs and Border Protection said in a statement this week that the campaigns are still in place and highlight that "those attempting to come here illegally are a top priority for removal." Immigrant families caught illegally crossing the border between July and September told U.S. immigration agents they made the dangerous trip in part because they felt they were likely to succeed, according to the intelligence files. Immigrants spoke of "permisos," or passes, that they believed would allow them to remain in the United States.